Beyond most likely continuing to introduce wacky, new cheese-filled menu items, Taco Bell has some serious goals for the next few years. It plans to become a $15 billion brand by 2022 while adding 2,000 new restaurants. To kick-start the effort, it's unveiling a new logo and flashy flagship restaurant on the Las Vegas strip. The new logo, the brand's first refresh in 25 years, is a modern twist on the iconic Taco Bell bell. 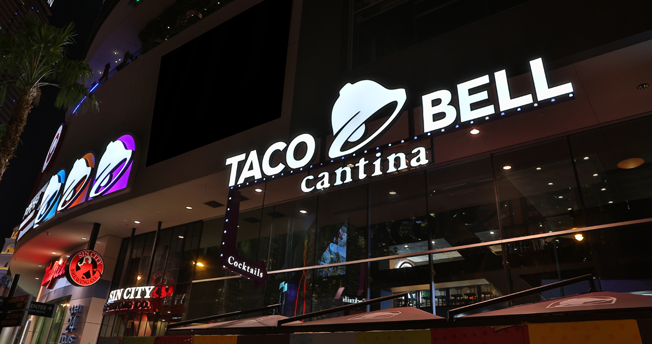 "We're constantly evolving and refreshing every aspect of the brand, and our brand identity is part of that," said Marisa Thalberg, Taco Bell's CMO. "It's about having our logo keep pace with everything else." 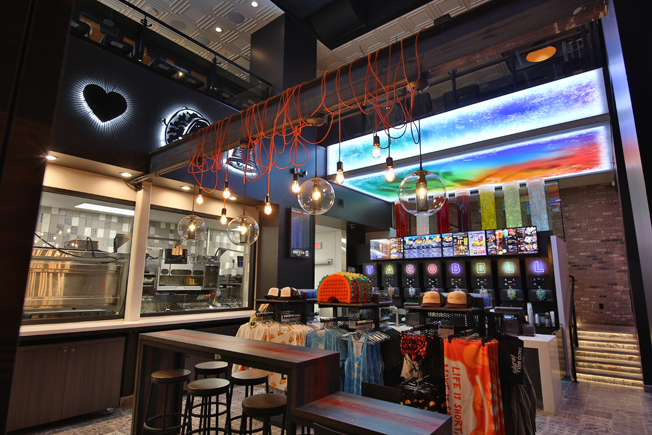 Taco Bell's also keeping pace in terms of fast-food restaurant design, as the next generation of consumers prefers well-appointed, comfortable spaces no matter the cost of the meal. 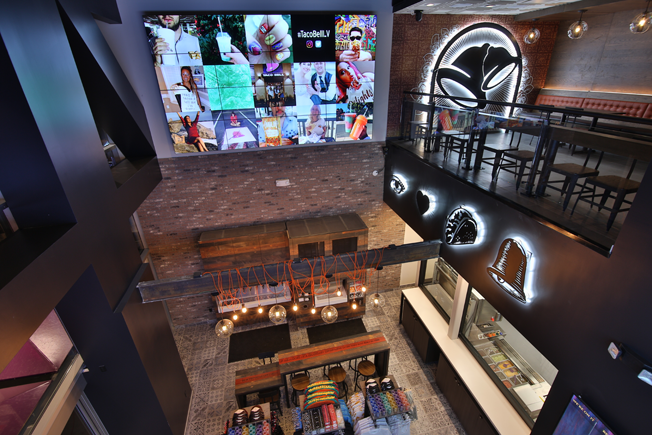 The Vegas location, the chain's 7,000th restaurant, is the fourth Taco Bell Cantina location. The Cantina concept, which is already in Chicago, San Francisco and Austin, features a modernized design with local artwork and open kitchens as well as tapas-style menu items and alcoholic beverages. In true Las Vegas fashion, the new restaurant also will include a VIP lounge and DJ booth. 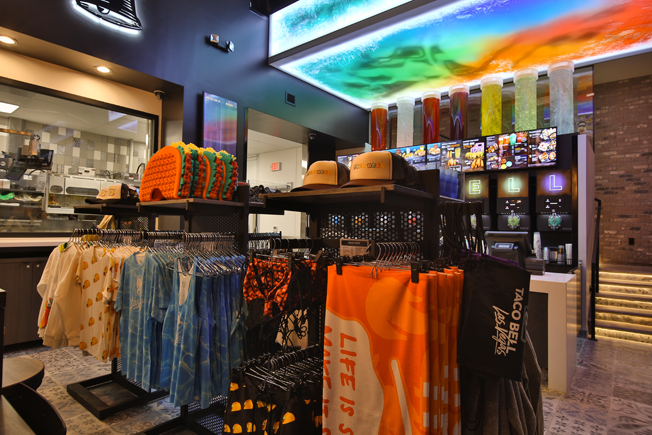 "Having environments that are inviting and enjoyable is great, and this one is super modern and relevant," Thalberg said. "It's the ultimate expression of the brand, and it'll be a good harbinger of where we're going as we're on our path of getting 2,000 more restaurants by 2022."